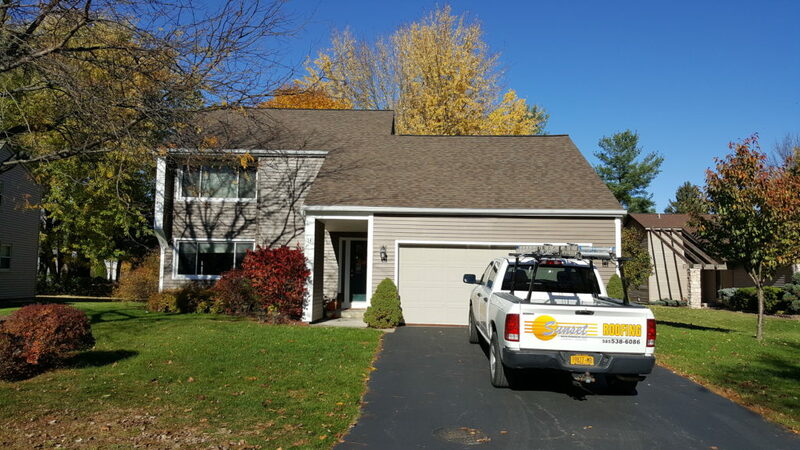 Sunset Roofing is locally owned and operated serving the Greater Rochester Area in New York. Our areas of service include Monroe, Livingston, Ontario, Orleans, Wayne, and Yates counties. Our office is located at 3220 Lehigh St, Caledonia, NY. Founded since the early 1980’s, Sunset has grown to become the top choice for Rochester roofing. Over the years, we have acquired the reputation and experience needed to meet each of our customer’s specific needs. In the process, we have also obtained the necessary certifications from the leading roofing manufacturers to be able to offer their factory warranties. Customer satisfaction is our top priority with every job we are given.